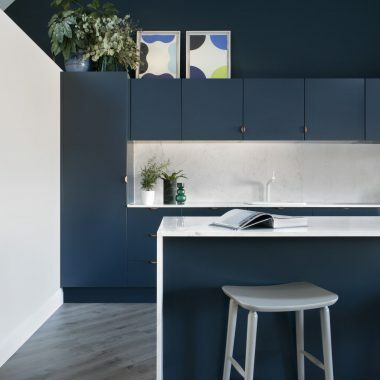 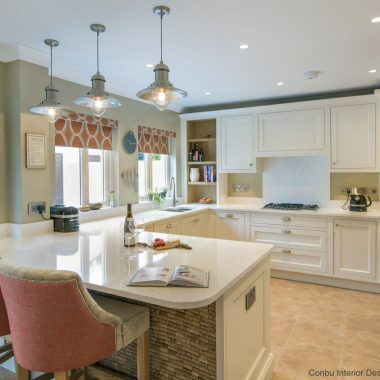 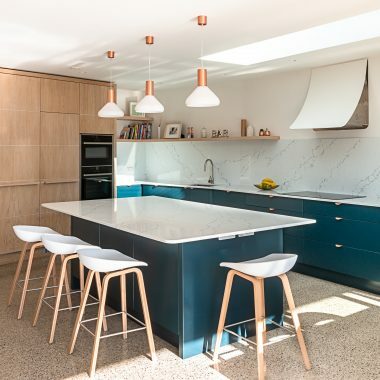 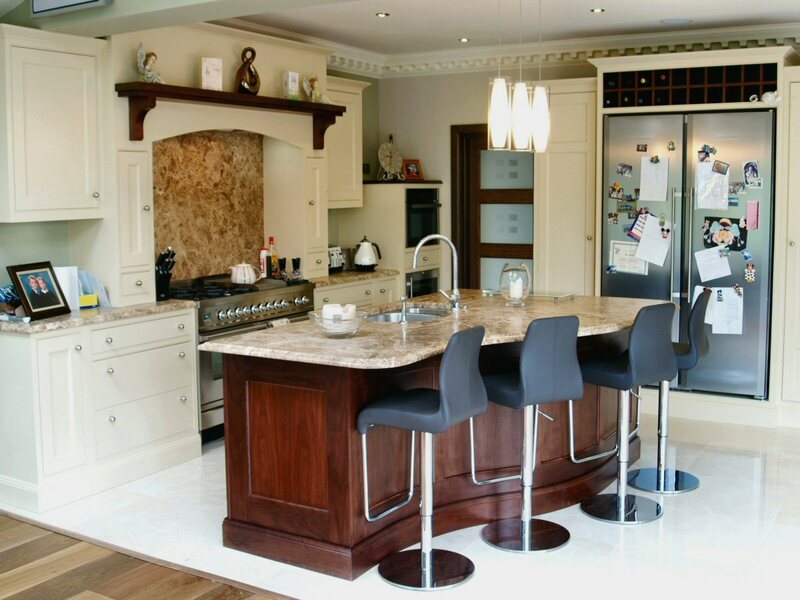 A classical ‘in-frame’ kitchen, contrasting the rich colour of the stained solid walnut island unit, with the hand-painted units throughout the rest of the room. 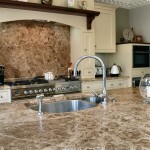 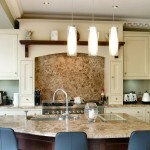 Light Emperidor marble worktop and splash-back. 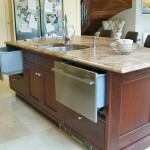 Britannia range, Liebherr fridge/freezer and Fisher & Paykel dishwashers. 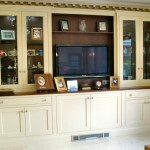 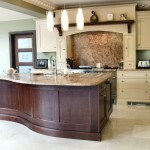 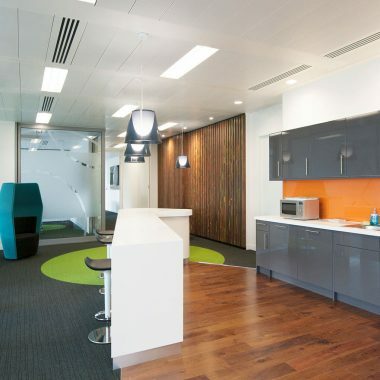 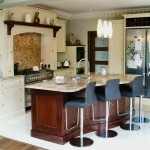 Curved solid walnut panelling under the island.